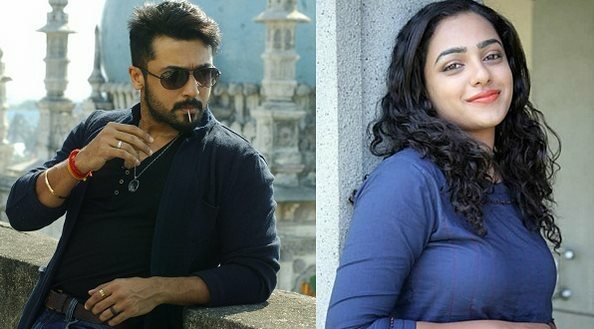 Actress Nitya Menen, who was last seen in Mani Ratnam's "O Kadhal Kanmani", has paired up with actor Suriya for the first time in upcoming Tamil thriller "24", which also features Samantha Ruth Prabhu. "Nitya has been roped in for an important role. She's currently shooting for the project in Mumbai," a source close to the actress told. Reportedly, Suriya plays dual roles in the film and it's quite possible that Nitya may be one of the leading ladies. Being directed by Vikram Kumar, the film is said to be a racy thriller laced with time travel elements. This is the second time Nitya has teamed up with director Vikram. The duo has earlier worked in Telugu blockbuster "Ishq". Double Oscar-winning composer A.R. Rahman will score the music for the film, which also features veteran actor Girish Karnad in an important role. The film will also be released in Telugu.